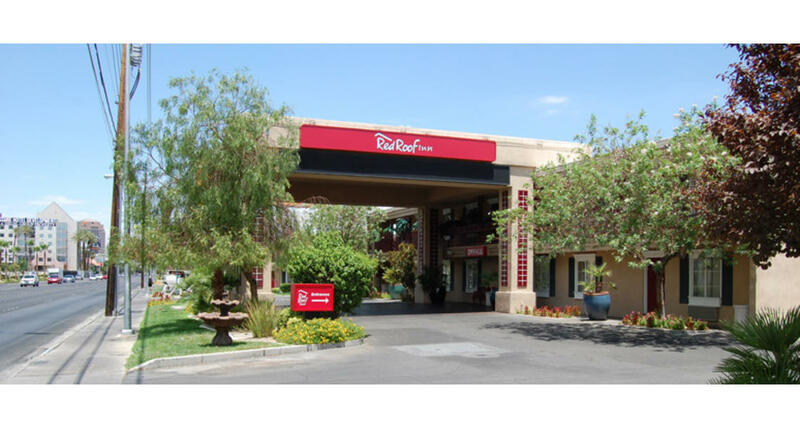 The Red Roof Inn Las Vegas hotel is conveniently located less than one mile from McCarran International Airport and the famous Las Vegas Strip. The Las Vegas Convention Center is just down the road and the Hard Rock Hotel & Casino is directly across the street. Within walking distance of this hotel are the University of Nevada, Las Vegas (UNLV) and the Thomas & Mack Center. "Restaurant Row", with an eclectic array of International cuisine and high-end eateries, is just a short stroll away and you can also enjoy fine dining located next door at Ferraro's Italian restaurant. Guests will also enjoy the fitness center and the outdoor heated pool with lagoon and waterfall. Business travelers will appreciate additional conveniences like access to copy and fax services. All spacious guest rooms are attractively decorated and feature kitchenettes complete with microwaves, stoves and refrigerators. The hotel features the look of Bourbon Street with charming window flower boxes, plantation shutters and wrought iron detailing. For added guest convenience, valet cleaning services and laundry facilities are both offered on the premises. Top-notch staff takes pride in giving personal, friendly service to every guest. Whether traveling for business or pleasure, the Red Roof Inn Las Vegas hotel welcomes the opportunity to serve you during your stay in Las Vegas.